Weekly Wrap-Up: Coyotes and Groundhogs and Scrivens, Oh My! In the aftermath of Super Bowl Sunday, while you clutch your abused liver and pray to the porcelain god, here are the week’s highlights in hockey, according to me. This is not one of the things I talk about. Football season is over. Now ESPN can show our highlights! @BlueJacketsNHL Don't count on it. The Ottawa Senators signed a deal with TSN which is interesting for a couple of reasons. CBC recently lost their NHL coverage deal to Sportsnet, meaning local rights are now a pretty hot commodity. This is good news for the Senators, who have maybe had some money issues. Hopefully this’ll help improve the team and help bring people out to their arena. …they are instead to be renamed the Arizona Coyotes. This is, well, more accurate since they don’t actually play in Phoenix, but Glendale. It’s the latest in the long, strange saga of the Coyotes, one that is probably the most intriguing in the NHL because it is often used as proof that the idea of expanding south and west wasn’t always successful (the multiple failures of Atlanta franchises being another piece of proof). I don’t really know what to think about this name change; it’ll be interesting to see if they do any other rebranding during the offseason, along the lines of the design changes the Dallas Stars did, to signal the beginning of a new period in the franchise. 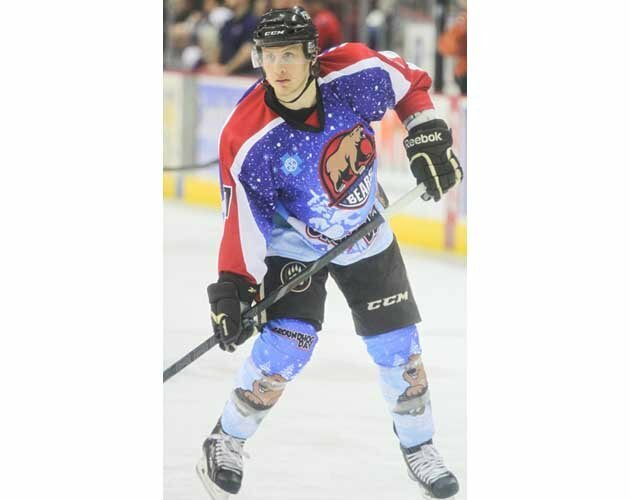 I’m a huge fan of this holiday-themed apparel from the Hershey Bears. I really think that we should start doing this for holidays. Not for, like, Christmas or Hanukkah or anything, but for weird things like Groundhog Day and, if we had hockey in September, Talk Like a Pirate Day. I guess they were wearing it because they’re in Pennsylvania, but how great would it be to have people wearing giant turkeys during the lead-up to Thanksgiving or bright pink sweaters with hearts for Valentine’s Day? (Plus, hey NHL, you could sell them as special edition!) Also, if someone managed to acquire me those groundhog socks, I would be forever grateful. Despite being injured, Tomas Hertl continues to be a joy and a delight. In this case, by participating in what appears to be a water aerobics class where he is probably the youngest participant by 20 to 30 years. I’m heartbroken he won’t be at the Olympics. Not only would he lower the average age of that team by probably three years, that grin would be enough to light up several stadiums. Come back, Hertl. Okay, this is a little more ~newsy~ than I typically get, but here’s why I find this worth talking about: regardless of if he stays past the trade deadline (which would probably only happen if the Islanders think they could make a serious playoff push) or if they decide to drop him soon, that means we have a big time name available come trade deadline or free agents’ day. Or both, depending on if the team who trades for him is just looking for a rental. Now, it’s always good to have something like this. Remember #parisewatch? Remember how there was news, like, every day about how he hadn’t decided yet? I hope we have a #vanekwatch. And then he’ll end up going to the Wild too, probably. No liveblog this week because I was unable to watch it live, but one of the things I have found extremely interesting about NHL Revealed so far and this episode in particular is the amount of access they were given to the players’ families. This year’s 24/7 touched a little bit on how hard it is for the families to live the lifestyle necessary in a hockey family when Birgitta Alfredsson talked about the move from Ottawa to Detroit. NHL Revealed goes a step further and really shows how tough it is to, in the case of Dustin Brown, be raising a small herd of children while also maintaining an NHL career. Ryan Kesler’s section was particularly poignant, with him grabbing some time with his kids over videochat and regretting his inability to always be home for them the way his parents were. They’re choosing, very deliberately, not to gloss some of the difficulties that come with being an NHL player (and, inadvertently, the difficulties of being the wife or child of an NHL player) and that is a very intriguing choice on their part. The captain of the US for Sochi will be Zach Parise. Alternates will be his bff Ryan Suter and the somewhat controversial Dustin Brown. Going unmentioned during the coverage, as far as I’ve noticed, is that Parise and Suter are both sons of men who were part of famous victories over Russia. Parise is the son of J. P. Parisé, who was part of the Canadian team at the Summit Series who…won, technically, but you know, they did injure one of Russia’s star players to do so. (On a side note, I watched a documentary about the Summit Series when I was at the Hall of Fame this summer and when Phil Esposito came up to talk about the Kharlamov incident, he so underplayed it that everyone in the room who was already familiar with it started cracking up.) Ryan Suter is, of course, the son of defenseman Bob Suter who played in the Most Important Game of All Time, the 1980 Olympic game against the Soviet Union, aka the Miracle on Ice. (He’s also the nephew of Gary Suter, who came in 2nd at the Salt Lake City Olympics over Russia.) I’m just saying. Those are some interesting choices. I will take any excuse to post this. Ben Scrivens is, generally, a joy and delight but he became much more than that this week when he shut out the San Jose Sharks with a record-setting 59 saves. Dallas Eakins was totally right to say he was proud of Scrivens and pissed as hell at the rest of his team. (I’m paraphrasing the second part but that is 100% what he meant.) The Oilers clearly have a multitude of issues (just looking at the advanced stats for that game makes my head hurt) but it must be nice for Oilers to have a good news story amidst the mess. Here, have some of Ben Scrivens staring at you. Jonathan Quick’s goalie mask for Sochi is patriotic in a more melancholy sense. I understand nothing about this tweet and I’m okay with that. This What Does Your Favorite Penguin Say About You is pretty great, although I’m unsure of what to make of the Taylor Pyatt one. Are they being sexist? Are they mocking sexist jokes about women? Do they just not know enough about Pyatt to make a better one (and one of the things that is well-known about Pyatt is not joking matter)? I don’t know. Speaking of the Penguins, they had a Mom’s trip! My favorite thing about parent trips is that you can look and see the genetic links between people. The Sochi app for Android does not buy the Patrick Kane is 5’11” myth, and nor should they. Every week this blog makes me laugh. Keep up the great work! ahaha, thanks man. Enough Sharks for you?